For a long time it was believed that fat is very unhealthy and should not be a large part of the diet. However lots of recent research shows that some types of fat are essential for our health. Monounsaturated fats (MUFAs) are liquid at room temperature and turn solid when they are chilled. Studies have found that MUFAs protect against heart disease, help you lose weight, improve your mood and reduce the risk of certain types of cancer. Below are the best food sources of monounsaturated fat. Nuts & seeds are the richest sources of monounsaturated fat. These include macadamia nuts, hazelnuts, pecans, almonds, peanuts, Brazil nuts, pistachio nuts, pine nuts, cashew nuts, sesame seeds, sunflower seeds, pumpkin seeds and flax seeds. A 1 oz (28 g) serving of almonds has 8.7 g of monounsaturated fat and a 1 oz serving of sunflower seeds has 5.2 g. Nuts and seeds also contain varying amounts of polyunsaturated and saturated fat as well. Together with these fats, nuts & seeds are an excellent source of a variety of important nutrients such as vitamin E, the B vitamins, magnesium, selenium, iron and phosphorus. Some of these nutrients are fat soluble, which is one reason why nuts & seeds are so beneficial to our health. High quality butters of these nuts & seeds are made by grinding them down until they form a thick paste. In fact, you can make your own at home using a food processor. It is for this reason that they are also a good source; a tablespoon (16 g) of almond butter has 6.1 g of monounsaturated fat. Unlike other types of fruit, avocados are high in fat. This can be clearly seen when you cut an avocado open and scoop out a spoonful – it has a unique creamy texture. An average sized avocado (200 g) has a whopping 19.7 g of monounsaturated fat. The majority of the fat found in avocados is oleic acid, a monounsaturated fatty acid that brings with it many health benefits. Oleic acid may help to reduce inflammation and fight some types of cancer. The avocado has long been considered to be one of the healthiest foods that you can eat. Take a look at its nutritional profile and you will quickly see why – it has large amounts of nutrients, ranging from vitamin A to zinc. This makes it nature’s multivitamin. Eating avocados can lower cholesterol levels, allow you to better absorb certain nutrients, protect your eyes and help you to manage your weight. You can eat them on their own, add them to salads & smoothies or use them to prepare guacamole, a delicious Mexican dip. Olives are the fruit of the olive tree and are either green or black in colour, depending on when they are picked. They are a big part of the Mediterranean diet, which is considered to be a very healthy way of eating. 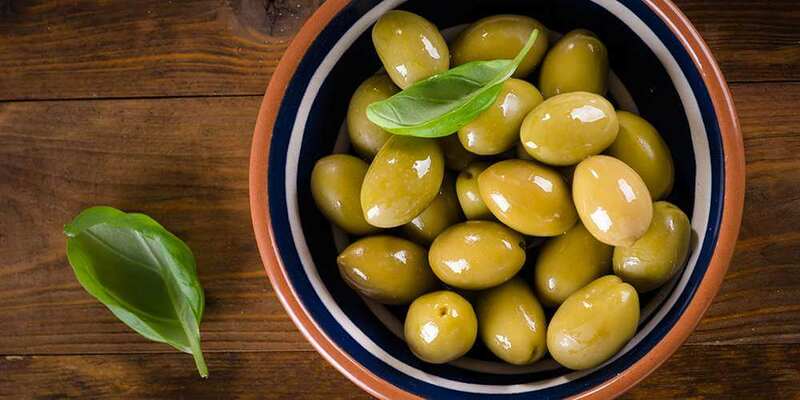 An ounce of ripe olives has 2.2 g of monounsaturated fat and a tablespoon of olive oil has 9.8 g, making it another extremely rich source. Like avocados, olives & olive oil contain large amounts of oleic acid. Olive oil also contains antioxidants. These are biologically active compounds that reduce damage caused by free radicals to cells in the body. This in turn reduces the risk of certain diseases, such as cancer. Olive oil also promotes heart and brain health, may reduce the risk of type 2 diabetes and has anti-bacterial properties. Whenever possible, aim to get high quality extra virgin olive oil. It is a bit more expensive but is definitely worth it. Olive oil is well known for being a key ingredient in salad dressings but it can also be used to prepare marinades, in pasta and for low heat cooking. 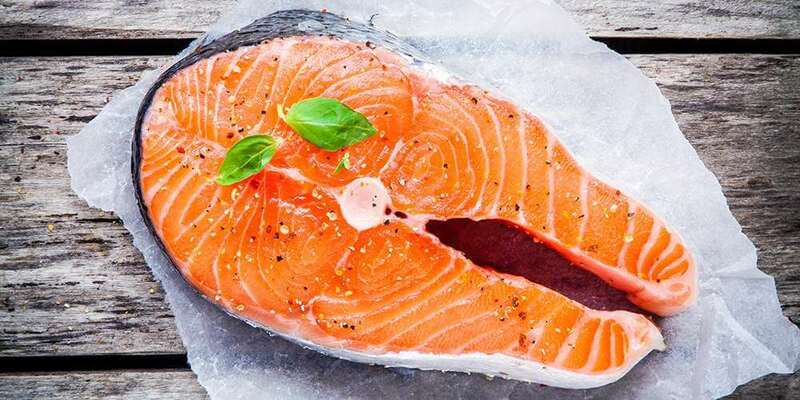 Fatty types of fish like mackerel, salmon and trout are also excellent sources; a fillet (88 g) of cooked mackerel has 6.2 g of monounsaturated fat. These fish are also loaded with omega-3 fatty acids, which are vital for optimum health. Like the foods mentioned above, fish is another food that is very healthy and one that you should aim to eat more of. It provides the body with certain nutrients that a lot of people don’t get enough of. These include iodine and vitamin D. Fish is also an excellent source of vitamin B12 and high quality protein. Whilst both wild caught and farmed fish are beneficial for the body, the former tends to be nutritionally superior. So if budget allows, aim to buy wild caught fish. Fish can be grilled, baked, poached and pan fried. Because it absorbs flavours so well, it is one dish that you will find difficult to get bored of. Eggs could be considered the perfect food because they contain almost every nutrient that is required by the human body. Indeed, an egg contains all of the vitamins & minerals required to turn a single cell into a baby chicken. A large (50 g) egg has 1.9 g of monounsaturated fat. This means that whatever way you enjoy your eggs, be it scrambled, fried or boiled, you are getting a good dose. All of the monounsaturated fat in an egg is found in the yolk. Egg yolks also contain a lot of cholesterol, which is one reason why their consumption is such a controversial topic. Some experts say that egg yolk consumption should be limited to a few times a week whereas others say that you can eat up to 3 egg yolks a day. Because requirements vary from person to person, your best option would be to speak to your doctor. Red meats such as pork, lamb and beef are another good source of monounsaturated fat. The content varies, depending on the part of the animal that you eat. As an example, a 3 oz serving of cooked pork shoulder has 5.2 g.
It is important to eat high quality red meat if you want to reap the health benefits that it has to offer. The kind of red meat based foods that you want to eat only very small amounts of are those that have been highly processed. These include things like salami, bacon and hot dogs.